The Goodwill Avenue name came from the prominent family that lived near the corner of what is now Goodwill Avenue and York Lane. The house was located in the centre of the current Wyndwood Crescent. Unfortunately, it was torn down in approximately 1980 to make way for the development. 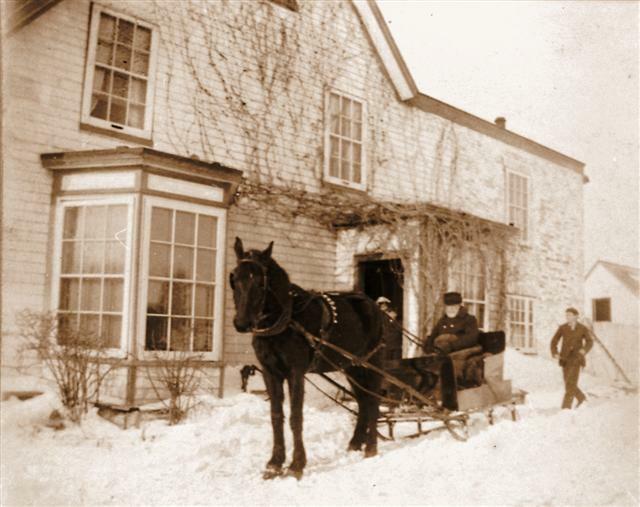 This image shows the Reverend John Goodwill at the side of Goodwill House in a horse and sleigh.